aling and enrollment department could make your revenue cycle more efficient and your practice more profitable. Reduced Labor Costs: This is pretty self explanatory and we challenge you to take a close look at what the credentialing and enrollment process is actually costing your organization. In all likelihood, the person tasked with handling your insurance enrollment and credentialing also has a number of other responsibilities within the organization. Unfortunately, these other responsibilities (while they may be important) typically supplant enrollment and credentialing needs as the top priority. With declining reimbursements and rising costs, most practices are forcing more and more on their limited number of employees. While we agree with watching labor costs and distributing work across the practice, it’s critical that certain compliance and credentialing requirements remain at the top of your staff’s to-do list. If you look closely, you will very likely find that your current staff’s workload is unsustainable and is resulting in unnecessary overtime and errors. By outsourcing to a professional organization, you not only reduce the stress level on your current staff but also ensure the top priorities of your organization do not get shuffled to the bottom of the stack. One error or misstep within the credentialing process could literally bankrupt your practice. We have seen it happen numerous times over the years. Whether it’s a Medicare revalidation ignored resulting in the deactivation of PTANs or recredentialing requests that are tossed and result in termed contracts, you don’t need this added liability. Increased Efficiency: Efficiency is key within every industry and healthcare is no exception. If you’ve been running a practice for any length of time, you know that the credentialing and enrollment process often feels like you’re walking in a maze with a blindfold on. 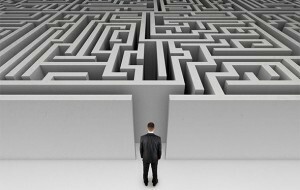 Credentialing professionals get out of this maze by relying on advanced technology and payer relationships. An example of this would be a professional credentialing organization’s ability to bypass the 800 number of a provider enrollment department and go directly to a regional network manager. The relationship that bypasses the customer service department usually results in at least 30 days shaved off of the entire credentialing process. In addition to the relationships, advanced technology utilized by professional credentialing agencies ensures the accurate and timely submission of all applications and forms. It also ensures that the correct forms are used and delivered to the correct address, fax number or email. Eliminate Risk of Turnover: Turnover happens, regardless of how amazing your organization is. When it occurs, it usually happens at the worst possible time, not when you can afford to lose someone. How will your organization be affected by turnover in your RCM or credentialing department? Our company is no exception and has had to deal with turnover in the past ten years. The difference is in our ability to effectively deal with turnover through our commitment to cross training and disciplined project accountability/tracking. These commitments ensure that management is never left in the dark regarding the status of an account and anyone, at any moment can pick up where someone else left off. In summary, outsourcing your credentialing and provider enrollment is the equivalent of a primary care physician referring to a cardiologist when a patient presents with an irregular heartbeat. While the primary care physician could very likely handle the problem internally, is the risk of missing something serious really worth it? That’s really what you must ask yourself. Are you certain that your current credentialing needs are being handled efficiently or being done incorrectly by someone who lacks proper training or experience? Based on national credentialing surveys, the average time for a physician to be credentialed by a group is 180 days whereas most of our payers are completed in 90 days. Is finishing the process faster and more accurately important to you? If it is, we believe you’ll reach the logical conclusion that outsourcing is the answer. Click here more information about our credentialing and enrollment services. This entry was posted in Credentialing, Practice Start Up and tagged credentialing, credentialing services outsourced, outsourced credentialing services, physician credentialing, physician credentialing services, selecting an outsourced credentialing vendor, when does outsourcing credentialing make sense.